I LOVE binders. They help me organize everything and anything. It is easy to put stuff in, take stuff out, change the order, easy to store, etc. Rather than files in a filing cabinet I store my units in binders. 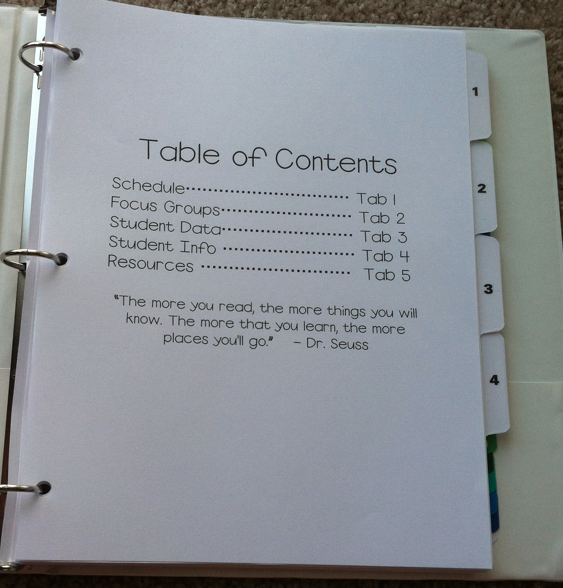 I was working on my ultimate teacher binder and then got a little carried away and made covers for all of my binders. 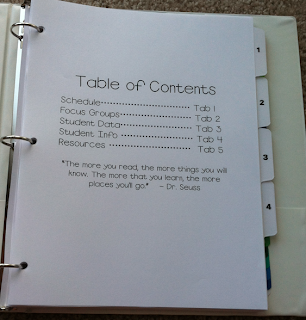 You can download your copy for free at my Teacher's Notebook store here or at Teachers Pay Teacher here. 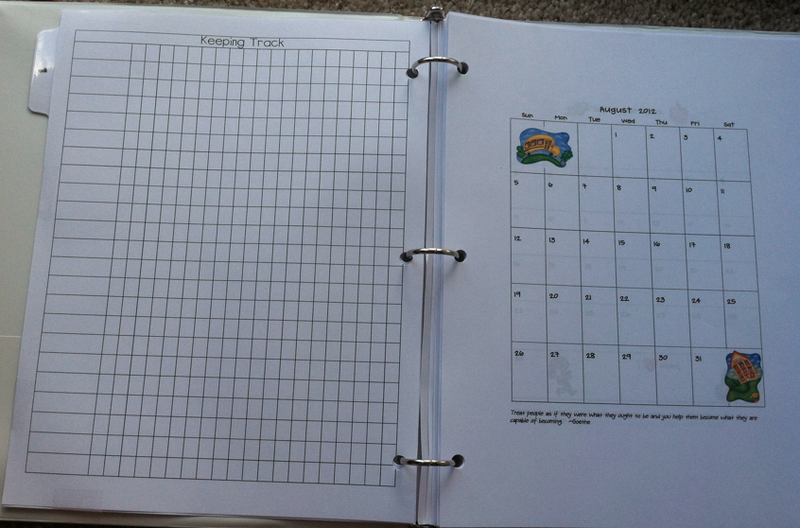 I inserted colored card stock in all of the binder sleeves, it really makes the covers pop. I also was working on my 'Pensieve' as The Sisters call it; it is actually their reading and writing conferring notebook. 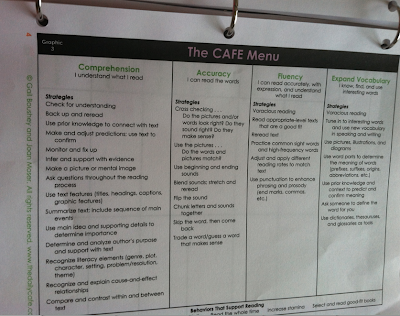 This is a big factor in using CAFE for reading so glad that is ready to go for the school year! 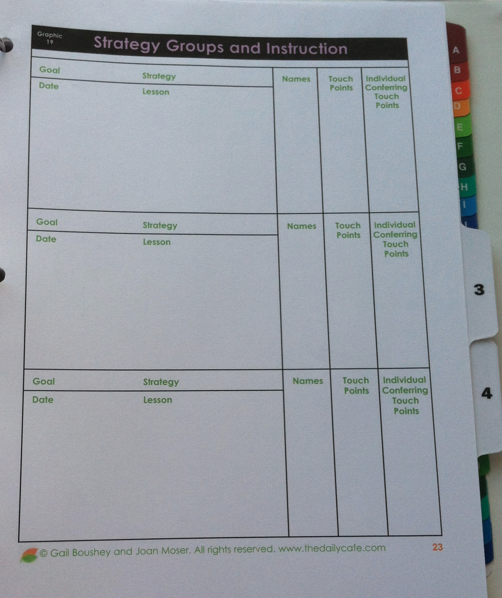 If you are interested in having short conferences regularly with your students, goal setting with them, and using flexible small groups for students all working on the same goals then you also might be interested in this notebook. 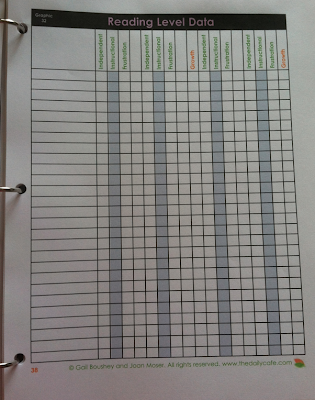 The left side will have all student's names and I'll put the dates we meet in the little boxes. This is to make sure I'm meeting the needs of all students. I can easily see who you have met with often and who I might need to catch up with. The right side is my calendar that I'll schedule appointments on. I'll met with a student, have them read for a minute, go over their goal (assess how their doing, do they need a new one, etc. ), then tell them when we will meet next. If the child needs a lot of help with their goal we can meet the following day or if their more independent maybe I will schedule their next conference for the following week. Totally flexible. Focus groups, or strategy groups, is section two. 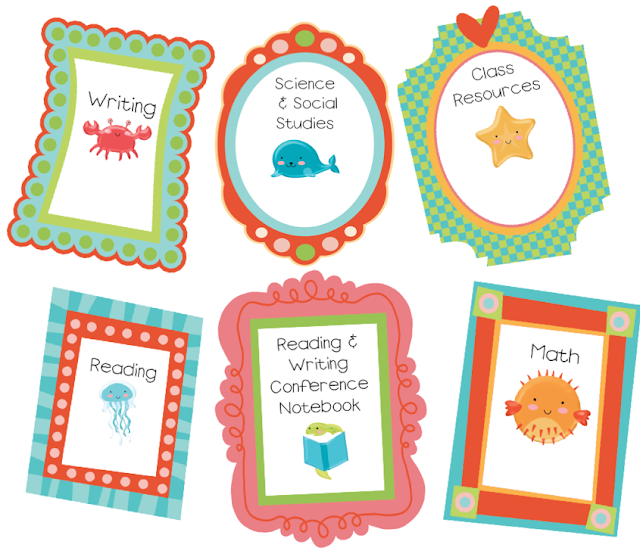 Students who all have the same reading goals will form a strategy group. For example, if I have 4 students who all need help with the strategy 'Back up and re-read' then I can put them together and meet with them all at once. 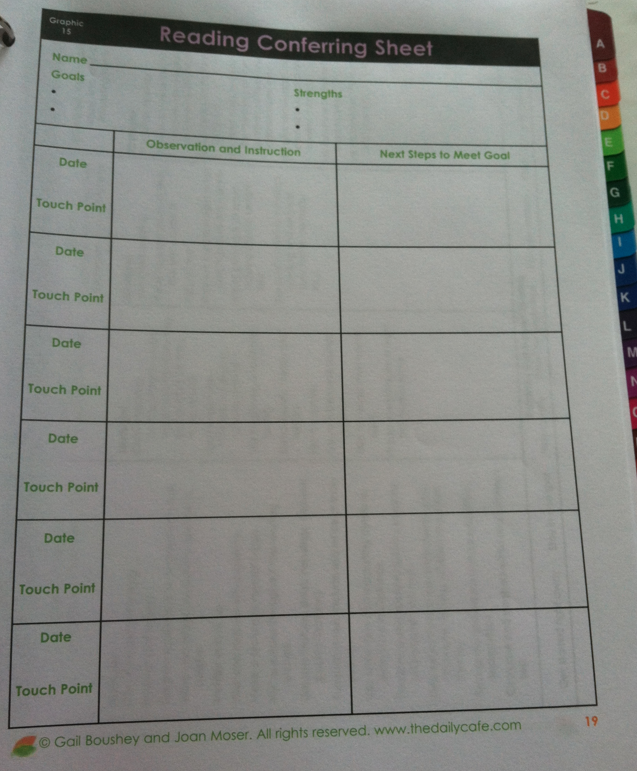 This will save time for me since I don't have the teach the lesson 4 times. What I'm really excited about is that the strategy groups can change as student's met and set new goals. They are all differentiated since students are working on the strategy in their own books or other materials I provide. 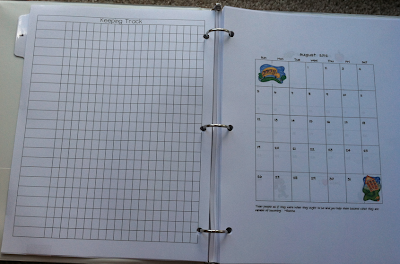 I thought this would be extremely time consuming and hard to accomplish but after reading CAFE Literacy and making this binder it seems so manageable. Can't wait to try it out! Section three will be student data. My district does FAIR testing so that is where I'll put student's on spread sheet and record their testing for three times a year they take those tests. Also when I do running records I'll record those scores on there as well. Note, I believe I'll be making a different recording form since this one doesn't really fit my needs. But maybe it will fit yours. Section four is Student Info, where all of our conferencing forms will be kept. I use dividers that has the alphabet on them. This will make it quick to find student's forms. I'll just take out all the extra letters I'm not using (I don't think I'll have a student who's name starts with Z but ya ever know). 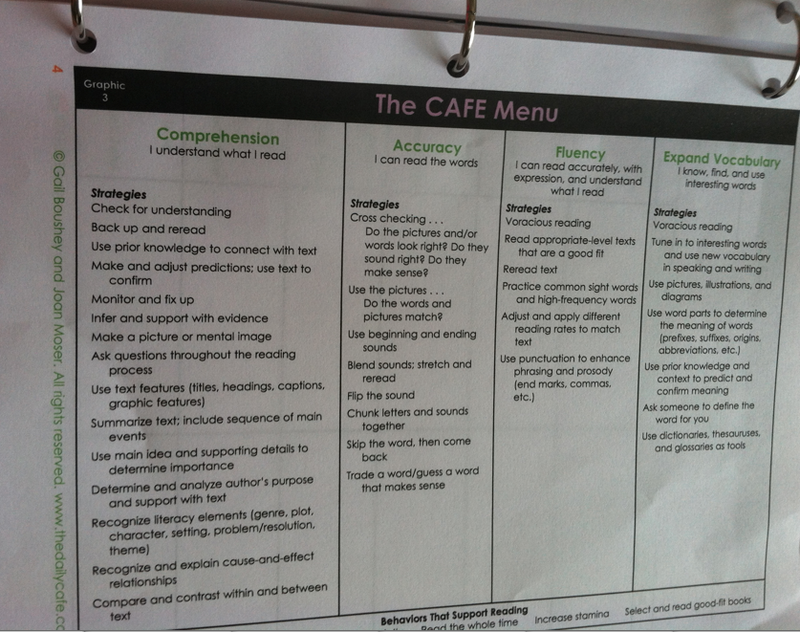 Each student will have their own CAFE menu where we will highlight goals they have accomplished and working on. They will also have a reading conference form and a writing conference form. 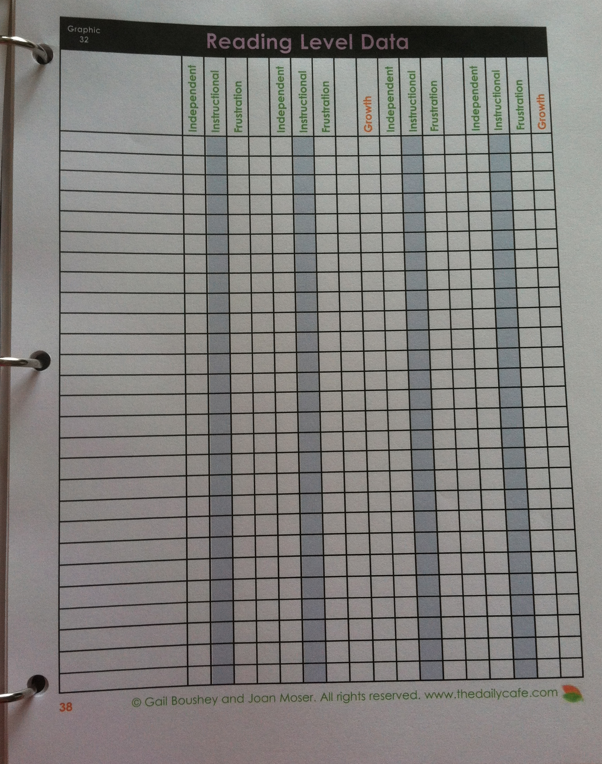 The conference forms are to record all those notes about how their doing with their goals. Best part about this is The Sisters have laid out what to write (in their book) so your notes will actually benefit you and the student. I used to be a avid notetaker but never do anything with them but not anymore! The last section, section five, are just resources that might come in handy. I'll be making a CAFE conference cheat sheet for myself to keep focused. Also any resources I want to use for my focus group lessons can also go back there. Jill does a great job going over each section of the conferring notebook in a short video: here. Also you can download all of the forms for your 'Pensieve' for free there as well! I'd really suggest taking a look if CAFE literacy is something your interested in. ps. 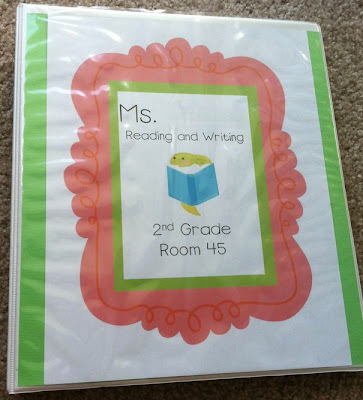 If your interested in binder covers for weekly dinner planning (with matching organizer) & wedding planning check out my post on my personal blog here. Whoa I wish I was as organized as you! I just found your blog and I can't wait to look around! Super cute! Thanks for sharing!! I just stumbled upon your blog and am looking forward to following you! I have nominated you for the Versatile Blogger Award. Hi! 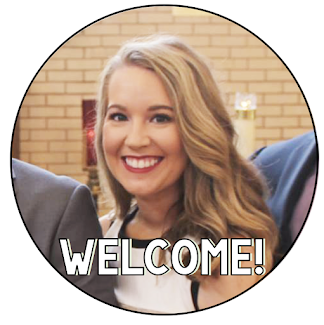 I'm new to the Daily Five and have subscribed to the Sister's Daily Five site. I see that some of the forms you're using are from the site. Can you tell me if there's a specific place to download all these forms? If I don't have to re-create my own I'd be very grateful! 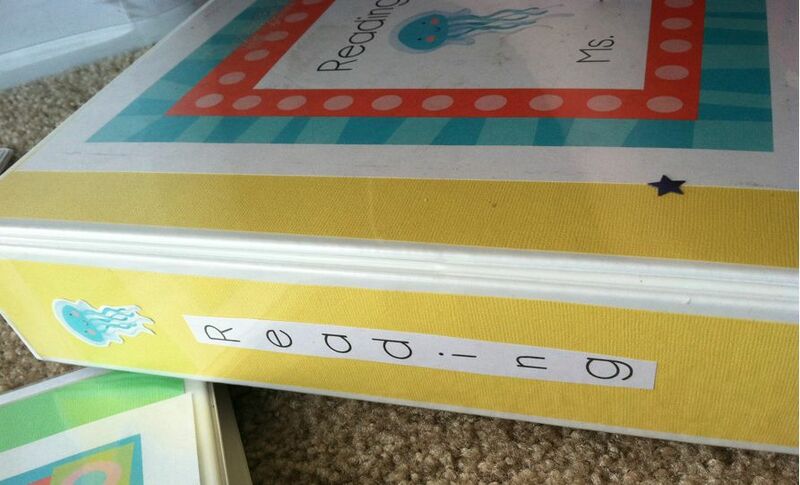 I love your ocean themed binder covers. Any chance you could make them editable so the titles can be changed? I've been looking for this theme for my sub tub! Thanks!